Active ingredient of pills Licopid® - Glucosaminylmuramyl dipeptide (GMDP) - is a synthetic analogue of the structural fragment of the envelope (peptidoglycan) of bacterial cells. GMDP is an activator of innate and acquired immunity, enhances the body's defense against viral, bacterial and fungal infections; has an adjuvant effect in the development of immunological reactions. The biological activity of the drug is realized through the binding of GMDP to the intracellular receptor protein NOD2, localized in the cytoplasm of phagocytes (neutrophils, macrophages, dendritic cells). The drug stimulates the functional (bactericidal, cytotoxic) activity of phagocytes, enhances their presentation of antigens, the proliferation of T and B lymphocytes, increases the synthesis of specific antibodies, and contributes to the normalization of the balance of Th1 / Th2 lymphocytes towards the predominance of Th1. 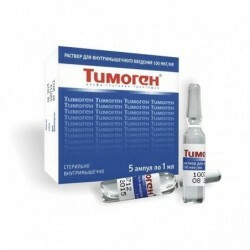 Pharmacological action is carried out by enhancing the production of key interleukins (interleukin-1, interleukin-6, interleukin-12), tumor necrosis factor alpha, gamma interferon, colony-stimulating factors. The drug increases the activity of natural killer cells. Licopid® has a low toxicity (LD50 is more than 49,000 times the therapeutic dose). 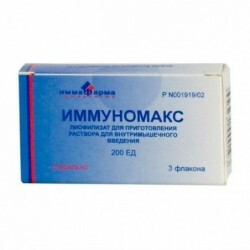 In the experiment with the oral route of administration in doses 100 times higher than the therapeutic, the drug has no toxic effect on the central nervous and cardiovascular systems and does not cause pathological changes on the part of the internal organs. Likopid® does not have embryotoxic and teratogenic effects, does not cause chromosomal, gene mutations. In experimental studies conducted on animals, data were obtained on the antitumor activity of Licopid® (GMDP). Bioavailability of the drug by oral administration is 7-13%. The degree of binding to blood albumin is weak. Time to reach maximum concentration (tmax) - 1.5 hours after admission. Elimination half-life (t1/2) - 4.29 hours. It does not form active metabolites, it is excreted mainly through the kidneys in unchanged form. Active ingredient: glucosaminylmuramyl dipeptide (GMDP) - 10.0 mg. Excipients: lactose monohydrate - 184.7 mg, sugar (sucrose) - 12.5 mg, potato starch - 40 mg, methylcellulose - 0.3 mg, calcium stearate - 2.5 mg.
Lycopid® apply inside on an empty stomach, 30 minutes before meals. Elderly patients are advised to begin treatment with half the dose (1/2 of therapeutic), in the absence of side effects increasing the dose of the drug to the required therapeutic. If you skip taking the drug, if no more than 12 hours have passed from the scheduled time, you can take the missed dose; if more than 12 hours have passed from the scheduled time of admission, it is necessary to take only the next dose according to the scheme and not to accept the missed dose. 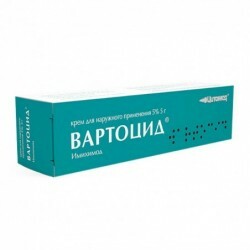 - with ophthalmic herpes: 10 mg 2 times a day for 3 days. After a break of 3 days, repeat the treatment. in chronic trichomoniasis: 10 mg 1 time per day for 10 days. Psoriasis: 10-20 mg 1 time per day for 10 days and then five doses every day 10-20 mg 1 time per day. In severe psoriasis and extensive lesions (including psoriatic arthritis): 10 mg 2 times a day for 20 days. Pulmonary tuberculosis: 10 mg 1 time per day for 10 days. Often (1-10%) - at the beginning of treatment there may be a short-term increase in body temperature to subfebrile values ​​(up to 37.9 ° C), which is not an indication for discontinuation of the drug. Rarely (0.01-0.1%) - a short-term increase in body temperature to febrile values ​​(> 38.0 ° С). When the body temperature rises above 38.0 ° C, it is possible to take antipyretics, which does not reduce the pharmacological effects of Licopid pills.®. Very rarely (less than 0.01%) - diarrhea. If any of the side effects indicated in the instruction are aggravated, or you have noticed any other side effects that are not indicated in the instruction, inform your doctor. use in autoimmune diseases is not recommended due to lack of clinical data. The drug increases the effectiveness of antimicrobials, synergism is noted for antiviral and antifungal drugs. Antacids and sorbents significantly reduce the bioavailability of the drug. Glucocorticosteroids reduce the biological effect of Licopid®. Acceptance of the drug Licopid® 1 mg is contraindicated in women during pregnancy and breastfeeding. At the beginning of taking Licopida® 10 mg may exacerbate the symptoms of chronic and latent-flowing diseases associated with the main pharmacological effects of the drug. 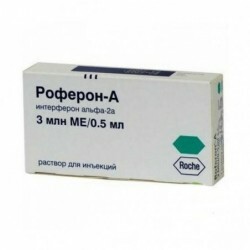 At persons of advanced age Likopid® 10 mg is applied with care, strictly under control of the doctor. Elderly patients are advised to begin treatment with half the dose (1/2 of therapeutic), in the absence of side effects increasing the dose of the drug to the required therapeutic. The decision on the appointment of Licopid® pills 10 mg in patients with a combination of the diagnoses “psoriasis” and “gout” should be made by the doctor when evaluating the risk / benefit ratio, due to the potential risk of exacerbation of gouty arthritis and joint edema.If the doctor decides on the appointment of Licopid® 10 mg pills in a combination of the patient's diagnosis of “psoriasis” and “gout”, treatment should begin with low doses, with no side effects, increasing the dose to therapeutic. Does not affect the ability to drive a car and complex mechanisms. Cases of drug overdose are unknown. 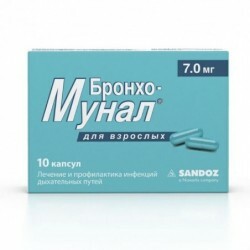 On the basis of the pharmacological properties of the drug, in case of an overdose, a rise in body temperature to subfebrile (up to 37.9 ° C) values ​​may be observed. If necessary, symptomatic therapy (antipyretic drugs), sorbents are appointed. The specific antidote is unknown.